The Huffington Post reports in an article by Michael J. Breus, a clinical psychologist and board certified sleep specialist, that researchers at Johns Hopkins University may have discovered a significant clue about what causes Restless Legs Syndrome (RLS). RLS is a sleep and neurological disorder that affects millions of Americans. RLS symptoms include throbbing, pulling, creeping, or other unpleasant sensations in the legs and an uncontrollable, and sometimes overwhelming, urge to move them. These symptoms usually occur at night when you are relaxing or at rest. RLS symptoms typically get worse during the night. 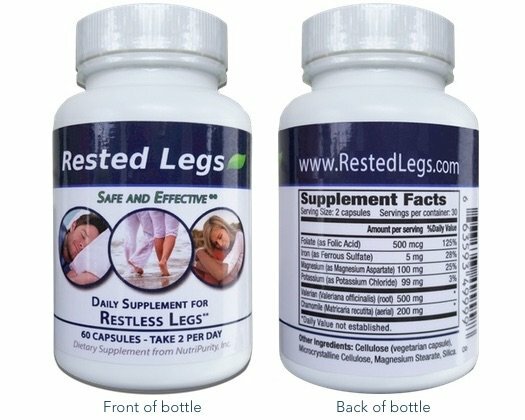 The extreme discomfort and pain caused by Restless Legs Syndrome produces an overwhelming desire to move around in an effort to relieve the symptoms. Breus says RLS patients continue to have trouble sleeping even if many of their symptoms are effectively treated. “Medications for RLS can be successful in alleviating the twitching and tingling sensations in the lower body, but very often the insomnia symptoms remain, leaving people with RLS coping with chronic sleep problems even after the other RLS symptoms have disappeared,” he said. Researchers at John Hopkins University School of Medicine may have come up with the reason why sleep problems persist even if the other symptoms of RLS are effectively treated. The researchers found in RLS patients high levels of the brain chemical glutamate, which is involved in stimulating arousal. They observed high levels of glutamate in the brains of the RLS patients who participated in a clinical study. “Abnormal levels of glutamate may help explain why RLS patients continue to have trouble sleeping, even after other medications have quieted the disruptive sensations in their legs,” Breus said. Because the research study was small; only 48 subjects participated, it’s important not to draw conclusions from the results. However, the study indicates that researchers may be on the right track toward finding the causes of RLS.